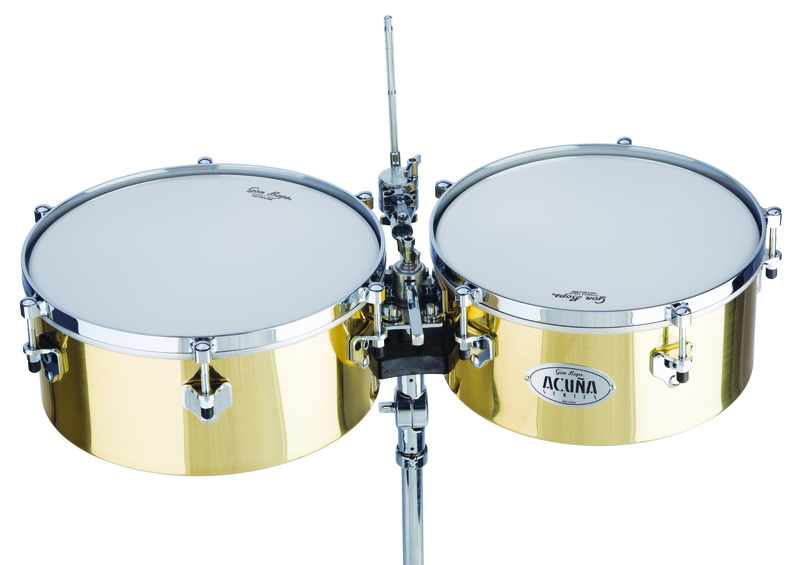 Designed with a unique Brass shell specially formulated to provide a distinct, dark cascara, Alex Acuna Timbales (14"/15" set) feature recessed tuning rods, traditional steel counter hoops, innovative Gon Bops 3-Series Timbale stand with Mega-Tripod base, and a cowbell holder with toothless tilter. 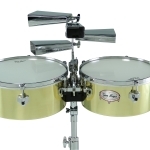 3-Series stand features extra clamp for locking inside tube securely and increased stability. 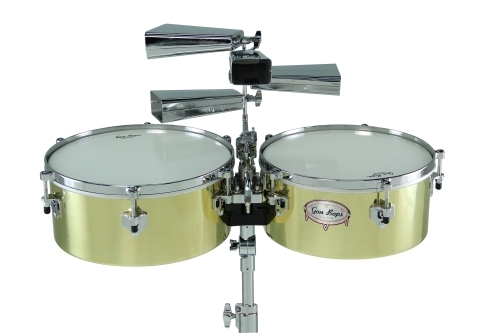 Also, Gon Bops smart push-lock system means there's only one convenient wing screw to turn for tightening or releasing both Timbales.